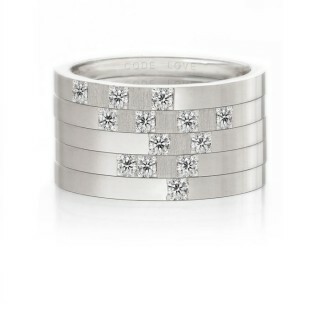 The ‘TRUST” union ring incorporates 5 separate rings. 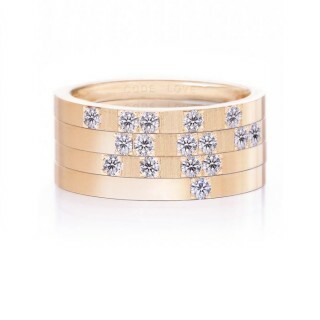 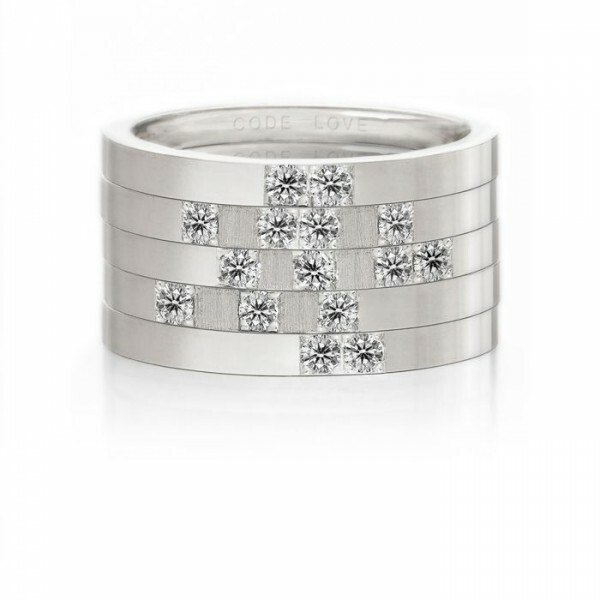 Each ring represents a different letter using diamonds as the Morse Codes Dots and dashes. One ring reads the Letter T, one reads R, one reads U, one reads S, and one reads T . The five rings worn together read TRUST….